Happy New Year! I hope you have all enjoyed this wonderful "winter" and if you haven't been paddling, it's time to start up again! Jon Ory of SUP Safaris has planned another fun event and is celebrating the opening of his new shop on Folly. Check out the details below and I hope to see you out in your green! 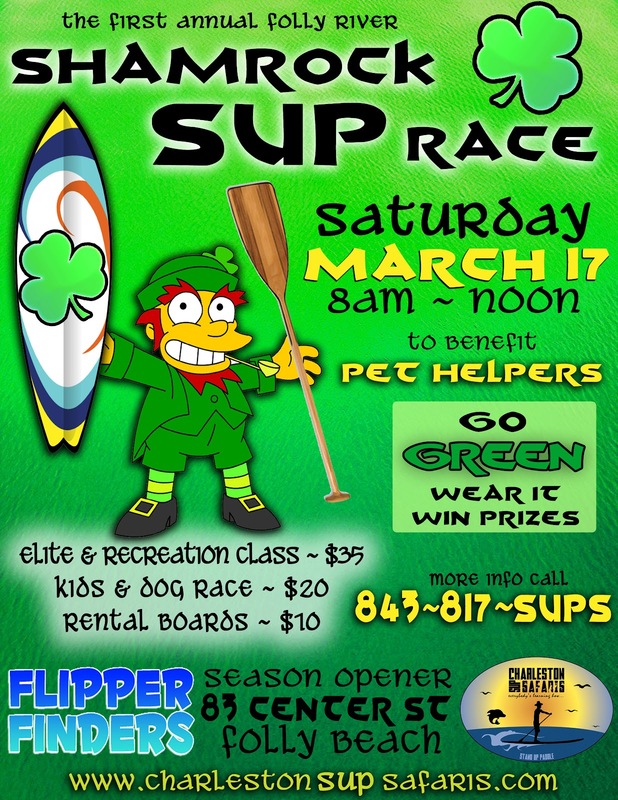 Stand Up Paddleboard Race to benefit Pet Helpers & Emerson Rose Heart Foundation to include a SUP Cleanup presented by Charleston SUP Safaris and Flipper Finders. 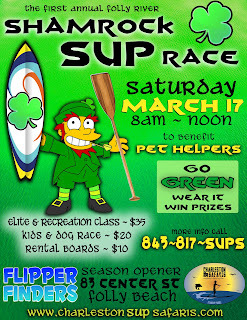 All are invited to join us for the 1st ever Shamrock SUP (Stand Up Paddleboard) Race! Surfrider Foundation will provide educational info about being Green on our waterways. Great prizes to be raffled and a silent auction. Charleston SUP Safaris, and Liquid Shredder. party onto Center St for the St. Patrickʼs Day Celebration.